Cooler days rolling through? 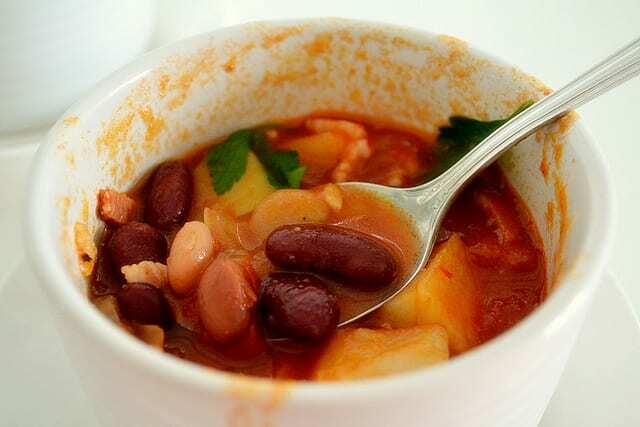 Clean out your pantry and fridge to make this hearty and filling bean and bacon soup. It’s customizable and will warm you up quick! Heat oil on medium in a soup pot. Add onion, rosemary, and bacon; cook for 5 minutes. Add tomatoes, red pepper, wine, and broth; simmer for 8-10 minutes. Add beans and cook 5 minutes more. Season with salt and pepper to taste and serve.